The Thanksgiving edition of Change of Shift, everyone's favorite nursing blog carnival, is ready for your perusal at the blog of RehabRN. Enjoy! A fifteen-minute expose on tonight's broadcast of The News Hour with Jim Lehrer on PBS highlighted the challenges faced by food banks and soup kitchens across America. With the current economic downturn, massive layoffs and rising unemployment are pushing more and more families and individuals to seek food assistance from local agencies. As this wave of need crashes against the American system of emergency food distribution, those very agencies are already overwhelmed as requests for assistance continue to rise. Meanwhile, corporate and individual giving has declined as Americans who might normally donate to their favorite charities are themselves tightening their belts and giving less. Today's news reports demonstrate that some food banks and soup kitchens are sadly in a position wherein needy families are actually being turned away this holiday season. Currently, 38 million Americans are considered "food insecure". Housing costs and fuel prices are a major factor for many families when it comes to affording basic food needs, although fuel has indeed taken a plunge to record lows in recent weeks (perhaps a temporary economic change). And when such families are eligible to receive food stamps from the government, the average amount allotted is approximately $4.00 per person per day (basically $1.33 per meal). How many of us would be challenged to feed our family a healthy and nutritious meal for $1.33 per person? While hunger was once seen as a problem of the inner city and rural areas, one-third of poor Americans now live in the suburbs, and hunger in suburban areas is indeed growing while still being largely a hidden phenomenon. Many of us are painfully aware that a significant number of personal bankruptcies in this country are due to the rising cost of healthcare, and as more and more Americans lose their health insurance after being laid off from work, they will indeed often be faced with a choice between food and healthcare expenses, a particuarly difficult dilemma, especially when children are involved. Even as millions of Americans sit down to glorious Thanksgiving feasts this afternoon and evening, it is imperative for all of us to realize that there are more than 30 million Americans who face very serious food insecurity on a daily basis. For these individuals and families, even the idea of a Thanksgiving meal might seem like a dream. Perhaps all of us lucky enough to have kitchens filled with nutritious food should consider how we might ourselves contribute to making such dreams more likely to come true. A new mathematical model suggests that the HIV virus could be virtually eliminated in 10 years if every person in every country with high infection rates was tested and treated. At this time, the price tag for such a strategy is estimated at $3.4 billion per year initially, with costs decreasing over time. With approximately 33 million people infected with HIV worldwide, increased testing and treatment would, of course, cost money. However, an already overwhelmed healthcare infrastructure in places like sub-Saharan Africa (where HIV rates are still rising) would pose significant logistical challenges. (For an interesting map detailing the number of HIV cases and AIDS deaths worldwide, please click here.) How those countries would be financially and logistically supported by the global community in implementing such a strategy remains to be seen. From a human rights perspective, critics of such an approach feel that universal testing and treatment might infringe on individual rights. And as many patients with HIV and AIDS already know, taking antiretrovirals is not easy, and side effects such as liver toxicity or failure, heart attacks and kidney failure are all relatively common. Such studies and models for a plausible expansion of the global effort against HIV and AIDS are laudable, and perhaps the AIDS epidemic will indeed be significantly curtailed in the decades to come. Perhaps the greatest gift that we could give to the children of the 22nd century would be to eradicate HIV and AIDS from the face of the earth in the current century, a goal that has generally been seen as virtually impossible until now. Some nay-sayers may feel that we're getting ahead of ourselves as infection rates steadily rise in Russia and other countries, but there are scientists and researchers around the globe seeing the possibilities of near-complete eradication. One can only hope that plausibility will eventually give way to reality, and someday we will truly look back on the epidemic as a disturbing yet finite piece of post-modern medical and societal history. So, What Does A Public Health Nurse Do, Anyway? This is a question that has already been posed to me several times, and coming up with answers helps me to define what it is I'm actually supposed to accomplish in my new job. -Tuberculosis case management: I closely monitor and follow any cases of active or latent tuberculosis in my community, assuring that patients take their medications as prescribed and follow up with the regional TB clinic as required. -Emergency preparedness: it is my job to actually make sure that our town has protocols and plans in place for emergency preparedness, whether it be for natural disasters, terrorist attacks, pandemic illness, or other public health emergencies. I will cooperate with other regional agencies and serve as coordinator of our local Medical Reserve Corps. -Immunization clinics: I will hold monthly immunization clinics for immigrants and other citizens in need of urgent immunizations. Influenza clinics are also an important part of our work in the late Autumn and early Winter. -Infectious disease surveillance and investigation: I am responsible to track, report, and investigate infectious and communicable diseases in our community. -Resources and referrals: I will provide the general public with resources, referrals and advice vis-a-vis medical issues, psychosocial issues, and other needs as they arise. -Employee wellness: on some level, I am supposed to provide employee wellness resources for employees of our town. I'm not sure what this is supposed to look like, and only so much can happen in thirty hours each week. Still, I see this as a potentially interesting aspect of the job if there's any time to actually do it. There is so much to learn and so much to know. Infectious disease surveillance in general is an enormous area of expertise and I feel ill-prepared to take it on. The learning curve is indeed quite steep, but in exchange for my own sunny office, a great cafe next door, and excellent health insurance, I think I made the right choice. So, I have officially accepted a position as the Public Health Nurse for my town, and my hours were approved by the town government just yesterday. While I've been filling in as the Interim Public Health Nurse for ten hours each week over the last several months, I will begin working thirty hours a week beginning on Monday. After ten months of being a free agent, consultant, and general slacker, having a job to responsibly report to four days a week is indeed a wake-up call. While consulting and working per diem jobs has allowed me a great deal of flexibility and self-determination, the need for high-quality health insurance and a more steady income have also reared their heads. Thus, my decision is propelled by economic need as well as the realization that this will certainly be an interesting and growthful career move on many levels. As a Public Health Nurse for a town of approximately 40,000 people, I will be responsible for emergency preparedness (including the management of the local Medical Reserve Corps), infectious disease surveillance and reporting, tuberculosis case management, a monthly immunization clinic, influenza clinics each fall and winter, fielding questions and calls from citizens and town employees, and other important responsibilities. I am honestly slightly overwhelmed as I realize the steep learning curve involved in this undertaking, but I also realize that my desire to work for Partners in Health, Doctors Without Borders, or a similar organization in the future will be even more likely with significant public health experience under my belt. While public health is not necessarily hands-on nursing, it is a crucial part of the healthcare infrastructure of the country, and many of my new skills will certainly be transferable to other countries and societies. Stay tuned for developments as I dig in to my new position, and I surmise that issues of public health will become an even more intrinsic part of the regular conversation here on Digital Doorway. If you are so moved, please pay a periodic visit to my newest blog---Fiction, Prose & Ephemera---a collection of fiction and poetry, some of which are works in progress, and others that are more or less complete. It is a project whose time has come. Now that Barack Obama has been elected and some changes in the trajectory of American healthcare are on the way, those of us who support the creation of an Office of the National Nurse are asking that citizens supportive of our cause please communicate that support to the Obama team. For a review of the importance of such an office, please see my previous blog post on the subject. To communicate your opinion to the Obama-Biden team, please click here. While the current Chief Nurse Officer (CNO) of the United States serves as Assistant Surgeon General, many of us feel strongly that it is time for nurses to be taken seriously as key players in the development of far-reaching preventive measures to improve the health and well-being of the American people. Rather than have the CNO remain in a subservient role to the Surgeon General, giving the National Nurse a prominent, autonomous and equal part in the government's efforts vis-a-vis preventive healthcare would send a clear message that the nursing profession has finally received the recognition it deserves. Nursing has a great deal to offer to the American healthcare system and to policy discussions vis-a-vis the changes that are needed to improve the health and well-being of all Americans. The establishment of the Office of the National Nurse would be a major step towards recognizing the profession of nursing for its contributions to medicine and health (separate and autonomous from the medical profession), and for moving the United States and its citizens towards improved self-care, improved health outcomes, and renewed standing as a country that views the health of its citizens as a true measure of "national security". To send the Obama-Biden administration a message regarding this issue---or any issue close to your heart---simply click here to visit a special page for communicating your vision of America to the incoming administration. Your support for the establishment of an Office of the National Nurse would be greatly appreciated. It is now confirmed that Barack Obama has asked former South Dakota Senator Tom Daschle to serve as the administration's Secretary of Health and Human Services. While the nominee has already undergone a rigorous vetting process by the Obama transition team, he will of course face a Senate confirmation hearing after the President-Elect is inaugurated on January 20th. I will venture a guess that Daschle will be handily confirmed by the Senate, and I imagine that he is already setting his sights on a broad plan of action. Whether that plan leads to successful change in the healthcare trenches remains to be seen. Meanwhile, a powerful bipartisan group of senators met in the offices of Edward Kennedy (D-MA) today, at the behest of Senator Max Baucus (D-MT), to begin shaping potential Democratic legislation vis-a-vis broad healthcare reform. With 15% of the country's GDP going to healthcare and the number of American uninsured (estimated at 40 to 47 million) expected to rise as layoffs and unemployment increase in response to the economy, the stakes are high for meaningful healthcare reform. We all know we can do better. In terms of healthcare access, funding and quality of care, the World Health Organization has ranked the United States as 37th in the world. Concurrently, our ranking in terms of infant mortality and life expectancy also continue to plummet when compared with other nations. These statistics bear out the widely accepted notion that the enormous per capita expenditures on healthcare by the United States government have fallen far short of their potential, and many other countries have somehow managed to produce far better results utilizing a percentage of what we spend here. The battle regarding the potential benefits and pitfalls of universal healthcare is on. Yesterday on Digital Doorway, I pointed readers towards an excellent website where the arguments for and against universal government-sponsored healthcare is being argued quite cogently. This nationwide conversation will only intensify, and it remains to be seen how the Obama administration will rise to this Herculean challenge. I am personally and professionally invested in the developments vis-a-vis healthcare reform in the United States, and I assume it will be years before we know the true successes or failures of President Obama's efforts, with support from Tom Daschle and other key players (not to mention the input of the American people, if it is heeded amidst the noise). These next months and years will be an interesting affair, and great grist for writers, bloggers, healthcare policy professionals, pundits, and ordinary citizens alike. Meanwhile, as the conversation and debate rages, the statistics related to the uninsured and underinsured will certainly worsen. We can only hope and pray that a truly remarkable (and successful) solution is indeed within reach. I would like to bring readers' attention to a website called "Opposing Views" wherein "real experts go head-to-head on issues you care about". From the spanking of children to animal rights, an open forum of debate, discussion and commentary allows experts and readers to chime in on pressing issues of the day. Apropos of Digital Doorway's predilection for issues related to healthcare, there is currently a lively and very interesting debate on the site which poses the question, "Should the U.S. Have Universal Healthcare"? I highly recommend visiting this particular debate, leaving a comment if you so desire, and perusing the site for other debates, such as "Does Marijuana Have Medical Value? ", "Is There a God? ", "Do Guns Make You Safer? 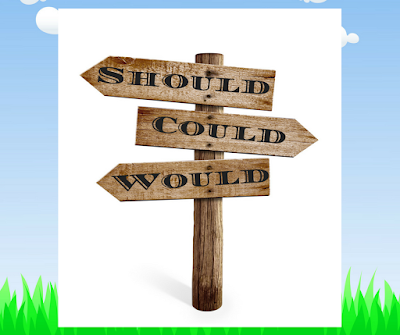 ", and "Should Your Daughter Receive the HPV Vaccine?" Debate is a healthy way for issues of interest to be discussed under a framework of civil discussion and intellectual sharing. Opposing Views certainly offers a valuable forum for such discussions to take place, and I encourage anyone who enjoys such lively give and take to frequently pay this excellent site a visit. Economically speaking, times are tough all over. People are losing their jobs, the unemployment rate is rising, and retailers and consumers alike seem to be facing a lean holiday season. On the healthcare front, a number of U.S. hospitals are now in the difficult position wherein they now must buy back debt incurred from "Variable Rate Demand Notes" (VRDNs) and other forms of loans that hospitals use to do many things, including making capital improvements to their facilities. According to some reports, U.S. hospitals may be forced to buy back up to $8 billion dollars of debt, not an easy task in these cash-strapped times. For hospitals, the economic times are indeed challenging. Patients with outstanding bills are less likely to be able to pay on time, if at all. Many employers are scaling back health insurance coverage for their employees, thus patients are often stuck with hospital bills that they cannot afford. Additionally, the numbers of uninsured and under-insured patients is rising in most states, and charity care is becoming increasingly burdensome for hospitals and health systems that provide such services. As some patients shift to Medicaid, hospitals also understand that reimbursement rates from Medicaid and Medicare often cannot match those from some private plans, thus revenues hemorrhage from numerous economic blood vessels simultaneously. Equally troubling for hospitals, borrowing is exceedingly difficult, despite dire need for improvements to facilities, upgraded IT equipment and systems, and rising labor costs. With increased costs of utilities, food, supplies, and health insurance premiums for their own workers, hospitals also understand that many patients will continue to cancel or postpone many elective surgeries and procedures that bring much needed revenue to hospitals' bank accounts. With consumers charged co-pays of $200 to $400 for elective procedures such as colonoscopies and vasectomies, hospitals face a serious decrease in such procedures which are much less costly since they generally involve a stay of less than 12 hours from registration to discharge. From The Wall Street Journal to regional news outlets in the mid-West, the signs all seem to be the same: hospitals are in for a difficult season as the economic belt tightens on the healthcare industry. As a self-appointed advocate for the uninsured and vulnerable in this country, I am seriously concerned that an enormous cohort of Americans currently face a significant decrease in the availability of affordable preventive healthcare in all regions of the country, not to mention access to many specialists and other providers. Overall, my fear is that the availability of free and low-cost care will suffer in the current economic climate, and patients in need of care will need to travel further and further afield in search of providers willing to see them, a burden that may keep numerous people from seeking medical attention at all. When access to medical attention is limited, it is frequently the uninsured and under-insured who are left in the healthcare dust, and there are millions of children who will fall into this unfortunate group as their parents simply struggle to make ends meet. There will be much for the new Obama administration to consider when assessing the current (horrible) state of the American healthcare system. As impatient as we all are for change, it may be many months before any improvements are even suggested for fixing healthcare in this country. Meanwhile, as hospitals struggle with their bottom line and millions of uninsured Americans struggle to stay healthy, we all must hope that there is still a possibility that the damage, as extensive as it may seem, can still be undone. And as for those millions of uninsured children out there, it should never get any worse than this. A new organization and movement have been founded with the goal "to build a peaceful and harmonious global community". Archbishop Desmond Tutu---The Charter for Compassion "seeks to remind the world that while all faiths are not the same, they all share the core principle of compassion and the Golden Rule. The Charter will change the tenor of the conversation around religion. It will be a clarion call to the world." The following video clearly illustrates the goals of this burgeoning global movement, and simply and coherently verbalizes the widely accepted need for a universal propagation of compassionate tolerance. The Charter for Compassion will be collaboratively created using input from people from every corner of the globe via new innovative software that enhances a collective decision-making process. The previously mentioned group of religious elders, dubbed "The Council of Sages", will work together to distill the thoughts and input of thousands of contributors into a concrete document that "will not only speak to the core ideas of compassion but will also address the actions all segments of society can take to bring these ideas into the world more fully. The Charter for Compassion will then be signed by religious leaders of all faiths at a large launch event, followed by a series of other events to publicize and promote the Charter around the world". First, collaborative suggestions regarding the preamble of the Charter are being sought at this very moment. Compassion as empathy not pity. Compassion as a lens for scripture. Compassion as fundamental to all faiths. Compassion as an urgent global need. Compassion as concern for everybody. Compassion and the Golden Rule. Subsequently, beginning December 4th, a summary of the Charter's declarations will be created, reflecting on how the Charter will actually bring about change in the world. If you would like to submit your own story as a part of this growing conversation, click here to visit the segment of the site devoted to contributors' personal testimonies. The Charter for Compassion may be the exciting birth of a new expression of how compassion, tolerance and global cooperation can change the world and alter humanity's very way of thinking. Please consider visiting the site and perhaps even sharing a story of how you feel compassion can be generated, propagated, and disseminated throughout the world. A new edition of Change of Shift, everyone's favorite nursing blog carnival, is up over at Crzegrl, Flight Nurse, complete with one video offering, a new twist on the blogging paradigm. Enjoy! For anyone interested, my interview with Fred Andrle on WOSU, Ohio Public Radio, is available online at http://www.wosu.org/radio/radio-open-line/. Just scroll down the page to the Monday, November 10th section, et voila! You can listen from the website or download it is an MP3 file. Today, November 10th, 2008, bloggers around the world are posting about issues surrounding the plight of refugees. As we writers sit at our computers, composing thoughts to provoke the thinking and compassion of others, millions of men, women, and children on several continents fight for their lives and their rights to a safe home, free from fear and persecution. For as long as human beings have engaged in battle and warfare, displaced persons have wandered the earth in search of a home. Recently, tens of thousands of refugees within the Democratic Republic of Congo have fled refugee camps due to increased fighting and direct attacks on refugee camps, possibly due to ethnic or religious differences. The Congolese people have suffered for decades, and there is no end in sight to their continued persecution and internal displacement. The main global organization vis-a-vis the coordination of refugee protection is the Office of the United Nations High Commissioner for Refugees (UNHCR). Other organizations such as Human Rights Watch, Refugees International, and the American Refugee Committee are all committed to protecting refugees and providing relief and financial assistance that can mean all the difference for displaced persons struggling to maintain their health, safety and economic well-being under extraordinarily difficult circumstances. Similarly, organizations such as Doctors Without Borders manage to provide essential medical care to individuals and families suffering from acute injuries, untreated disease, psychological trauma, and the effects of poverty and deprivation. Refugees from Iraq, Afghanistan, Palestine, Georgia, Darfur, Somalia, Sri Lanka, Myanmar and other troubled regions amount to an enormous population of world citizens who require medical care, advocacy, protection, shelter, clothing, food, and a means by which to make a living and educate their children, many of whom have never known a normal life free from displacement and suffering. It is our collective responsibility to support the organizations that provide services and advocacy to refugees throughout the world. It is also our individual responsibility to pressure our elected officials to take action and to push for legislation that enhances the work of the lead refugee agencies that bear the brunt of the Herculean labor involved in supporting the millions of displaced people in need of essential services. War, when waged by any country, almost ubiquitously creates refugees, and such battles frequently stir up---or are originally caused by---religious, ethnic and cultural differences between groups that fuel the fires of hatred and genocide that we have seen all too often in the current century and the last. While much of humanity has called for a universal end to war, there is currently no end in sight, and it is thus incumbent for humanity as a whole to work collectively to assuage the effects of war, racism, hatred, and violence. Just as it has been said that none of us are truly free while others are enslaved, it can also be said that none of us are ever truly living in peace and safety until all are living in peace and safety. Perhaps a day will come when the plight of refugees will be an historic anomaly. However, the 21st century, indeed in its infancy, has already offered us a myriad of evidence that war, displacement, and genocide are still realities necessitating a powerful communal response. Yes, today is indeed a day for blogging about refugees. But when the day is done and the articles are read and digested, it is then that the message truly must take wing---and we all begin to take action. Just an FYI that I will be interviewed live on the radio on Monday, November 10th at 11am EST on WOSU-AM, Columbus, Ohio. 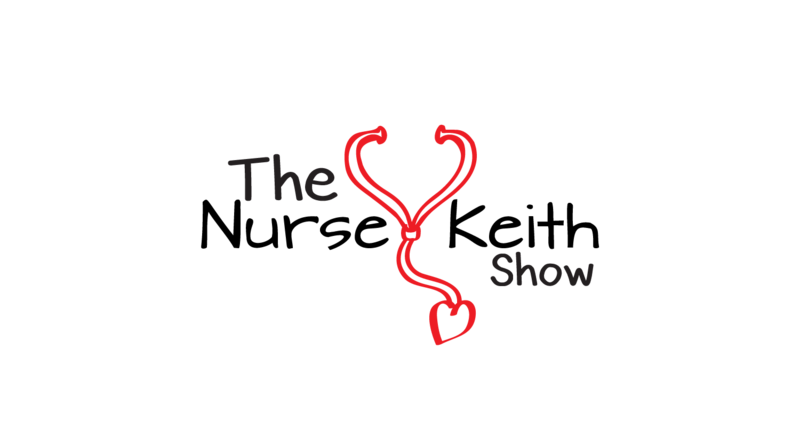 The interview will center around the recent publication of "Reflections on Doctors", and will feature myself, another contributing author, and the host of the program, Fred Andrle. The show will be streamed live at http://www.wosu.org/radio/radio-open-line/ and call-in questions will be accepted from listeners after the first 20 minutes of discussion. Please listen if you can! Europe certainly does charm one easily with its cafes, chocolates, and that otherworldliness that is somehow familiar yet distinct from everything American. Bicycling with a giggling Dutch seven-year-old girl clutching my jacket from her perch on the seat behind me, my hands and ears are bitter from the cold while my mind gleefully takes in my surroundings. The Belgians don't have that famous tolerance and awareness for bicycles so common to the Dutch, so we're careful as we make our way through the densely populated and crazily busy streets. I play with my hosts' young children, our only common language being the universal language of play. Their parents, my dear friends, translate as necessary, but we laugh and engage in all sorts of imaginative play without the need for intelligible conversation. I speak to them in English, they speak to me in Dutch. We shrug our shoulders and continue with our games. Yes, it's easy to be charmed, easy to fall into the rhythms and practices that are novel yet familiar. My heart has always partially resided in Europe, a place where I feel strangely at home in so many ways. My brief time here is precious, and I drink it in like the thirsty traveler I am. Well, here I am in Europe, and Belgian television is awash with news of Barack Obama's massive win over John McCain, and the increasingly Democratic Congress. The news and talk-shows here are absolutely buoyant, and Europe seems to be rejoicing at this turn of events vis-a-vis American politics and world diplomacy. As for me, I am struck by the historical significance of an African-American President of the United States. I am equally struck by the message that his election sends to young people of color everywhere. Based on what I'm gleaning from my European perch, I can also see that the world is expecting change, openness, inclusivity, and a major about-face by the U.S. on climate change, global security, the wars in Iraq and Afghanistan, the global economy, and more. Meanwhile, many of us who voted for Barack are also demanding and expecting the same, and much more. Power is corrupting, and the ways of Washington are devious and deceitful. I send my support and prayers out to the President Elect that he can truly deliver at a time when all eyes are turned on him, ears pricking up at the long-promise of deliverance to a land of hope. Well readers, I'm flying off to Brussels, Belgium to visit old friends amidst the maelstrom of Election Day here in the States. I do indeed plan to blog from my European perch a few times during my stay, but it will most likely take a few days for me to find my feet and recover sufficiently from jet lag. So, until then, be well, and please check back in a few days for an update. By then, I'll hopefully be able to gleefully report on the high quality of chocolate, beer, mussels, and french fries at my disposal. 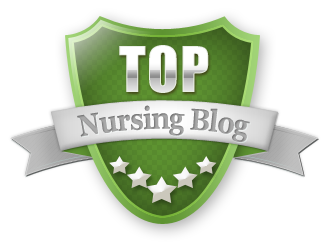 I have now completed my series of posts under the auspices of the Nurse Blogger Scholarship which I was awarded in July of this year from Value Care, Value Nurses. I would like to take this opportunity to thank VCVN and the Service Employees International Union (SEIU) for their generosity and support. VCVN and SEIU exerted no influence on the subject matter, tone, or content of my posts, and I was given absolutely free reign throughout the length of the scholarship period. As a way to make all of my entries available in one place, I am creating links to each post---in chronological order of their publication---here. Nurses have a great deal to say, and nurse bloggers are frequently outspoken, taking risks and shining a light in some interesting (and sometimes disturbing) corners of the healthcare system. 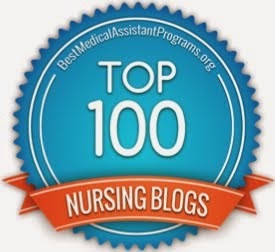 My hope is that the Value Care, Value Nurses Nurse Blogger Scholarship will become an annual award that will continue to bring nurses' voices to the fore at a time when those voices are greatly needed. Again, my sincerest gratitude to VCVN and SEIU for their support, generosity, and encouragement.